Ultimately, true health is less about instant solutions and much more about a well conceived investment, one with excellent returns. Constitutional and acute prescribing: Very safe and effective. A distinctive, individualized approach to restoration of health..
Case evaluation comprising a complete and in-depth specialized interview. Remedy selection and plan addresses mental, emotional and physical health concerns. Tinctures are formulated and compounded based on 25 years of experience in prescribing herbal medicine, drawing from long standing herbal traditions of both the East and West. Sound healing delivered by ‘Acutonics’ model. Tuning forks the vehicle for profound transformation through sound frequencies. Select frequencies applied to specific points attune subtle bodies and energetic systems (chakras and meridians) and therefore, support a healthy interconnection of the mental/emotional/physical axis. Especially well suited to sensitive individuals. 25 years experience in advanced lab evaluation and expert analysis for superior treatment options with natural hormones. Evaluation and prescription of bio-identical hormones with emphasis in women’s health. Minimal prescription/pharmaceutical use. 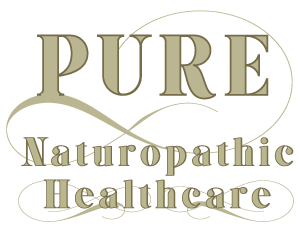 Twenty-five years experience with extensive natural and conventional prescriptive authority, with studied and artful integration of naturopathic/conventional medicine. Explore options for minimizing prescription drug use. From your strength and flexibility come the ultimate rewards: a greater capacity to do what you love; to be present for those whom you love, to perform creatively, and to be free of unnecessary distractions and physical limitations. This is true health, and this is what is possible.